This article will guide you through publishing your website to a custom domain that you currently own. 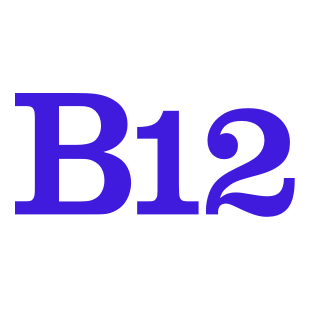 Log in to your B12 account at b12.io. Once you're logged in, click Domains on the left side of your website editor. Click on the '+' symbol next to Custom Domain(s) to add a new domain name. Enter your domain name in the Domain field starting with 'www'. Click Save when you have added the domain name. Copy the CNAME record as shown below, which ends in ".b12sites.com". Click purple Publish button in the upper-right corner of the website editor to publish the live website to your domain. Open up a new tab and log in to the account you have with your domain provider (e.g. Google Domains). Find your DNS settings. Look for your account admin panel, or your domain management area, or DNS configuration, or similar. There are only 2 things you need to change: the A record & the 'www' CNAME. Enter or select the @ symbol, or A record. Key in B12's IP address: 52.22.145.238 as the destination for the A record. Make sure there is a row for the 'www' CNAME record. Change your 'www' CNAME's 'value' to the CNAME record you copied from your website editor. Please note that it may take up to 24 hours for DNS changes to propagate, as a result your website may take up to 24 hours to be live on your domain. For a GoDaddy domain, click HERE. For a WIX domain, click HERE. For a Google domain, click HERE. For a Weebly domain, click HERE.